So your Toyota is due for its timing belt. Your owner’s manual states replace the timing belt at 105k for most models produced after 1996. Most will call around looking for the best price and not having any idea it’s really not the same as shopping for a TV or a mattress. 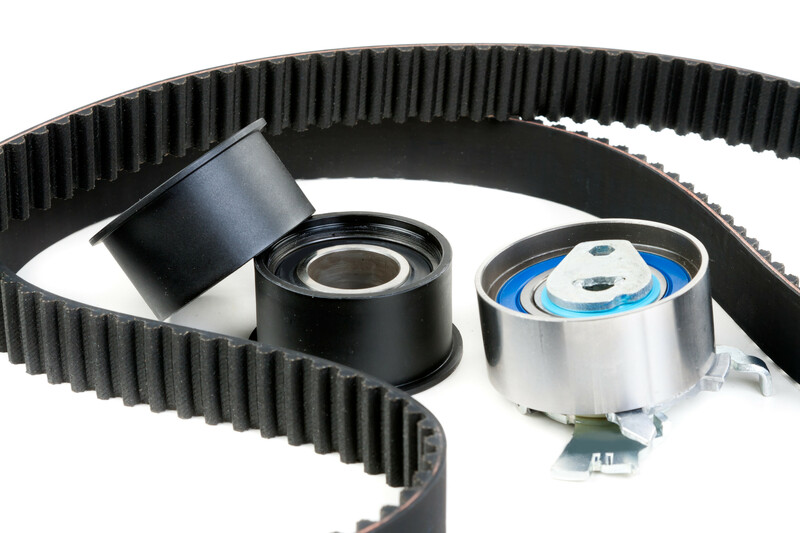 One shops timing belt replacement may differ greatly from the next and there is a right way and a cheap way. Ask questions beyond just the price, what does the service include, what kind of parts are being used? There is a difference and in the case of auto repair the difference usually shows up after the warranty on the repair is over. Understanding the repair should last fairly close to the amount of time the original part lasted is just as important as understanding the lower priced service may represent a lower value obtained. 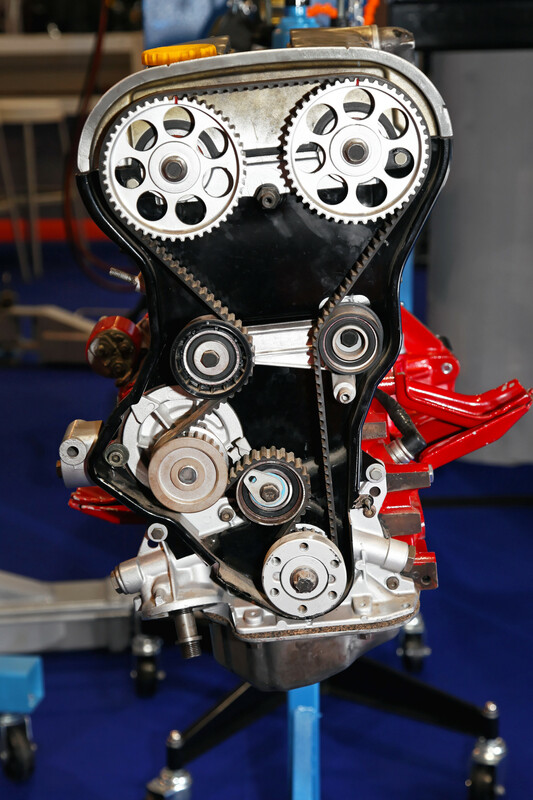 The timing belt has a big job to do it must keep the camshafts spinning in time with the crank shaft. This is so the valves open up at the proper time in the combustion cycle in correlation with air and fuel coming in, compression and spark exploding the mixture and the exhaust valves opening up to release the leftovers. At the same time the timing belt needs to turn the water pump and be able to self adjust in current models. Over time the rubber stretches out above the tensioner’s ability to keep it tight under all load conditions and just like your tires the rubber belt will age, wear and crack and ultimately could break. Every vehicle manufacturer provides a warranty so long as the maintenance is done, every car company also has a breakdown of vehicle maintenance such as 30/60/90k service with a clear break down of what should be inspected and replaced at particular service intervals. But what is not understood is it does not look good to list a lot of items to be replaced. Meaning if you are Subaru or any other car company it doesn’t pay to be truly honest of all of the potential service needs because your car will be perceived to cost more to own than the next and a lot of people make buying decisions based on cost of ownership studies provided by JD Powers, and consumer reports to name a couple. Toyota and every other car maker leaves it up to whoever is servicing the car to inform or “sell the customer” on items not listed in the maintenance booklet. This is nothing new to the industry but is one aspect of maintenance if not done correctly can have some serious ramifications.